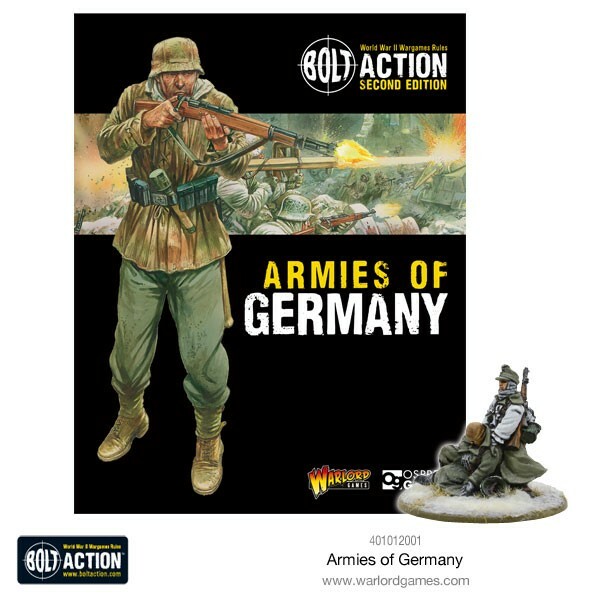 So – we’re proud to present – now available to order – Armies of Germany 2nd Edition! 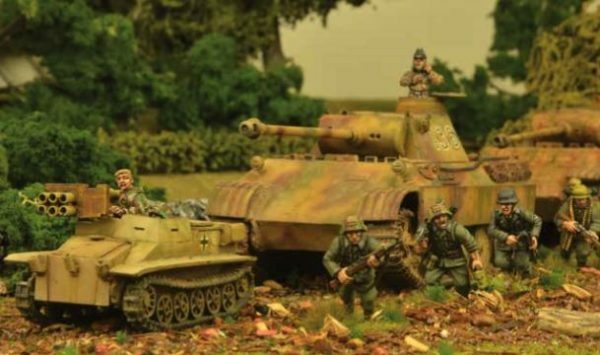 ‘Armies of Germany 2nd Edition’ is a supplement for our award winning tabletop wargame Bolt Action, and deals with the German Army of World War II. Within you will find background and details of the German Army’s organisation and equipment from the beginning of the war (the invasion of Poland in 1939) to the very end (the fall of Berlin in 1945). 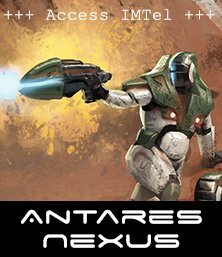 Central to this book is its Army List. 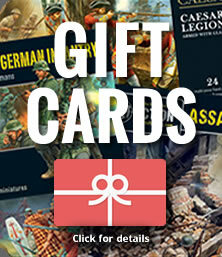 This includes all the information you will need to play games using the German Army. This large list details all the main troop types, vehicles and equipment fielded by the Germany Army during World War II. Alongside this main list are a number of Theatre Selectors, which give the force details for different periods and theatres of the war. These are not definitive, but are designed to give a theatre-specific flavour and character to a force. Over six years of fighting the German Army changed a lot, and many units and vehicles that were common in 1939 were obsolete by 1945 – and there were countless oddities and exceptions on every front. These sub-lists allow players to select forces suitable for the theatre in which they are playing. 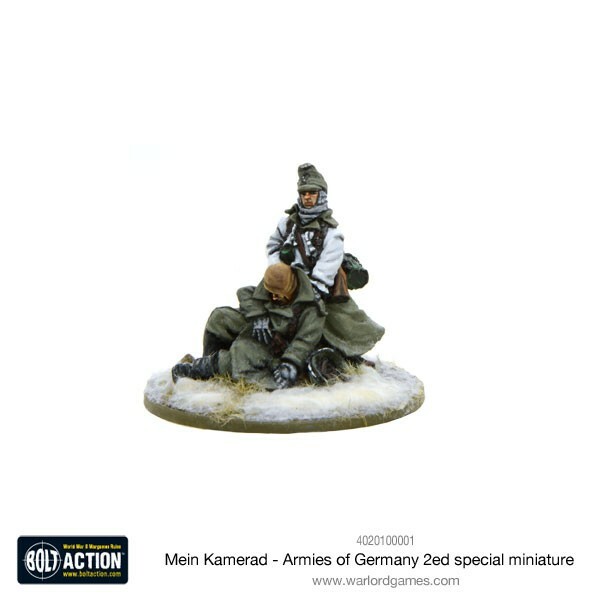 Blitzkrieg – German officers were expected to act on initiative and take decisions on the field based on their judgement rather than wait for orders or confirmation from HQ. This made them very effective tactical commanders and made the Wehrmacht a formidably reactive force. This offers a bonus for German officers when they use the ‘‘You men, snap to action’’ Special Rule, giving them more influence. Initiative Training – Even at squad level, in the German army every man is trained with some of the skills of his superiors, and encouraged to show initiative and decisiveness rather than just sit and wait to receive orders. Hitler’s Buzzsaw – German-made machine guns, but in particular the lethal MG42, are vastly superior to their enemies’ and rightly feared by Allied infantrymen. Carried over from the First Edition book, this rule combines with the MG boost brought-in with the Second Edition rules – making German MGs even more lethal…! Tiger Fear – Such was the lethal reputation of Tiger tanks, that often Allied troops were spooked by the appearance of any German heavy armour, mistakenly thinking that any Panzer IV was a Tiger waiting in ambush! 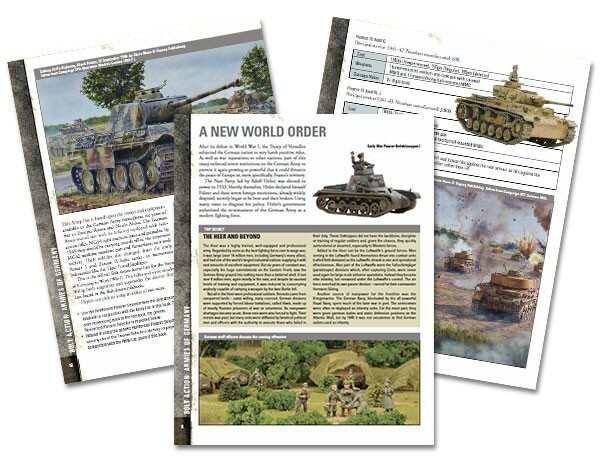 New Units – We’ve also compiled the German Additional Units and Special Rules which we published elsewhere (in other books, and/or online) into the book – including the likes of Night Fighting Units, and more! 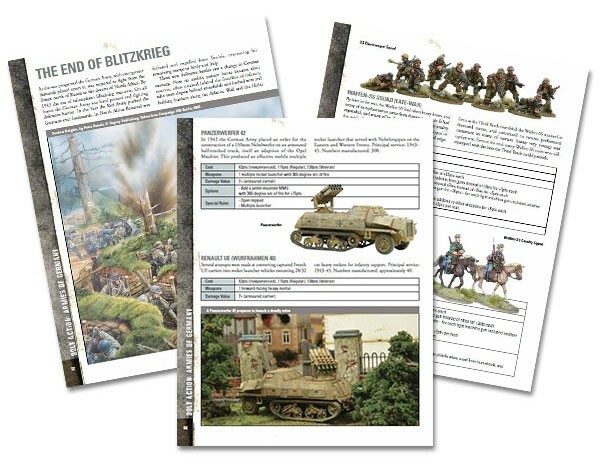 Couple all of this with tactical notes, invaluable historical background text, gorgeous artwork and reference imagery from the masterful Peter Dennis and Osprey Publishing, and Armies of Germany 2nd Edition is the must-have Bolt Action book for all German generals out in the field! 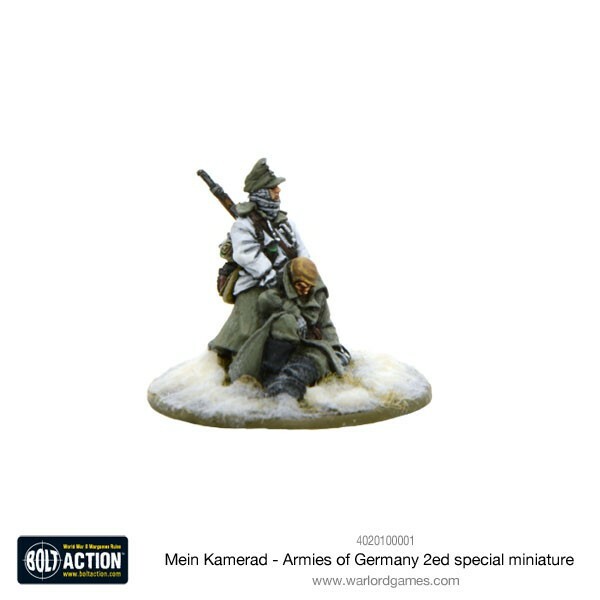 Note that this miniature is available exclusively when ‘Armies of Germany 2nd Edition’ is ordered direct through the Warlord webstore! 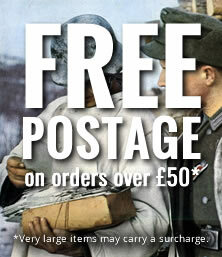 If you’ve not yet upgraded to Bolt Action Second Edition, now is the time to get your order placed! The new edition has sold so well that it far exceeded our (already sky-high) expectations… we’re now taking orders for the second wave of stock, which is due to arrive with us in the coming weeks. 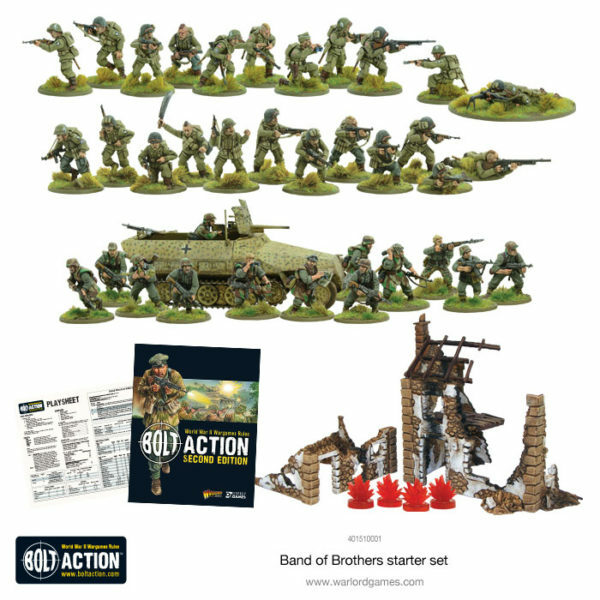 Alternately, if you want to do things in style… pick-up a copy of the brand new Bolt Action Second Edition Starter Set – ‘Band of Brothers’ today… containing a force of our brand new plastic US Airborne miniatures, facing-off against the Germans…. The set comes complete with dice, templates, pin markers, rulebook, quickplay sheet, all-plastic terrain kit… you name it, it’s in there! 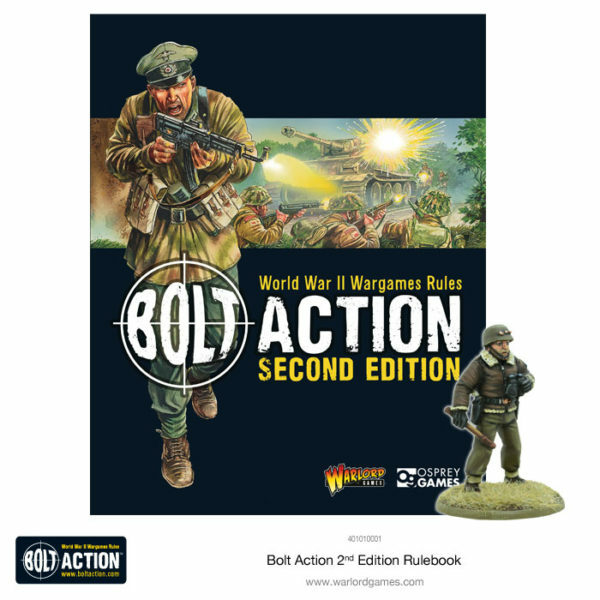 This is the ultimate starter for those looking to begin gaming Bolt Action’ Second Edition – so what are you waiting for? Head over to the webstore NOW!